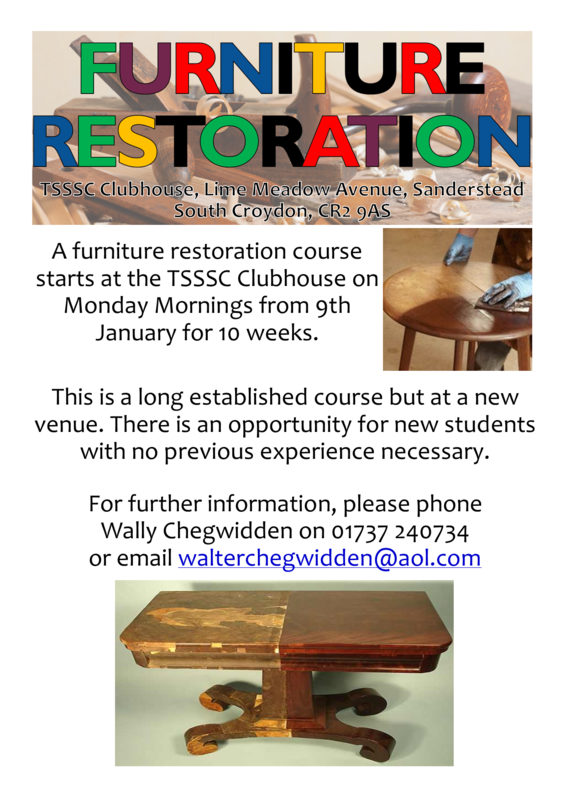 A furniture restoration course starts at the TSSSC Clubhouse on Monday Mornings from 9th January for 10 weeks. This is a long established course but at a new venue. There is an opportunity for new students with no previous experience necessary.